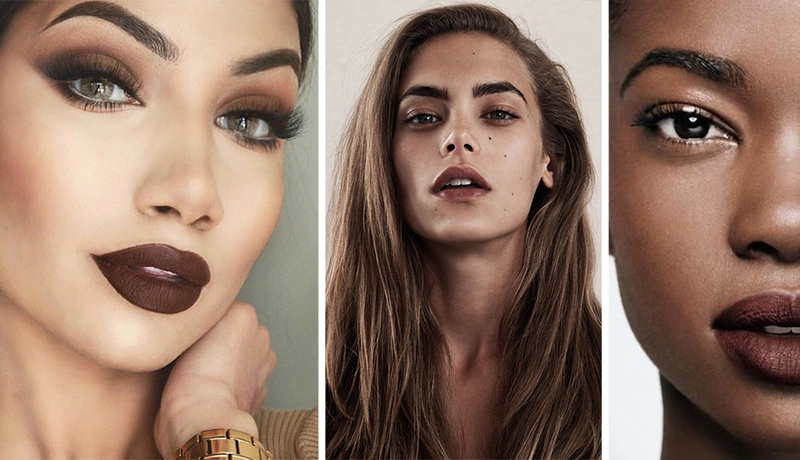 The timeless brown lip. 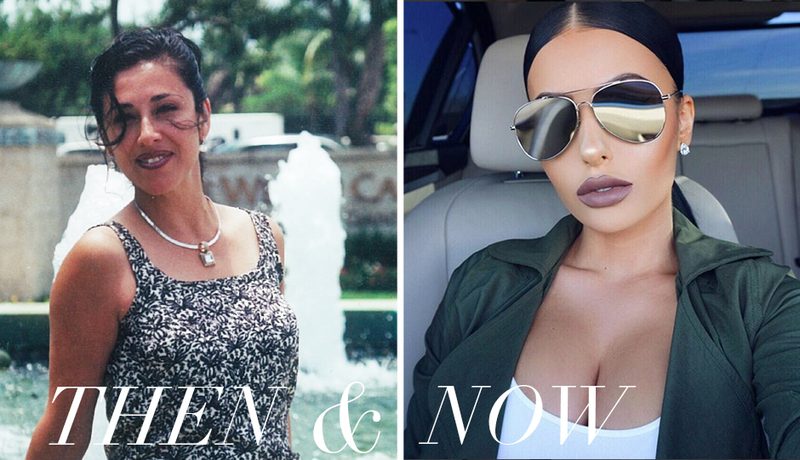 | Images via family archives and Amrezy. I was born in the 1991, and while many people would argue I’m too young to fully appreciate the decade, I beg to differ when it comes to beauty trends. Some of my earliest memories are of my mom (pictured above) expertly applying her staple brown lipstick and liner in the car – while driving, sans mirror. Try as I might, I will never reach that level of OG skill. I didn’t know it at the time, but her signature beauty look would come back in a big way – as trends do – almost 25 years later. 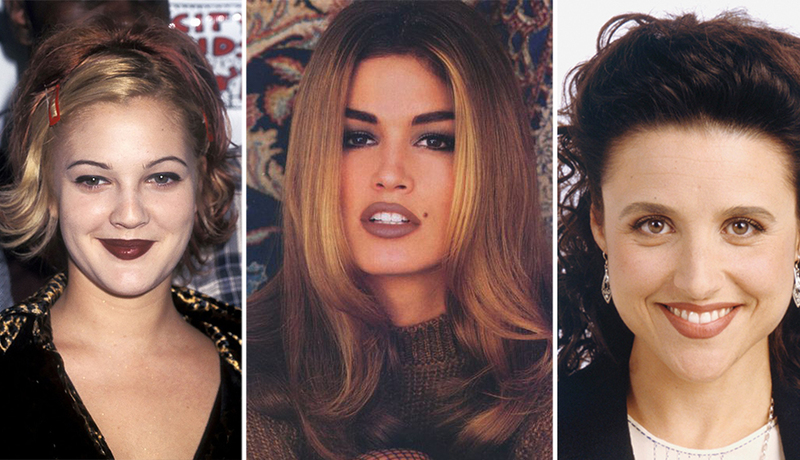 Here’s a look back at the origins of the brown lip in all its ‘80s and ‘90s edgy-cool glory, plus how to wear it today. Consider this a beauty education for all the young guns out there: Kylie Jenner is most definitely not the originator of this badass look. Images via Byrdie, Tumblr and Buzzfeed. Then: A few people poked at the idea of brown lipsticks in the ‘70s (like this amazing Max Factor ad), but it didn’t really reach the masses until supermodel Cindy Crawford and Seinfeld’s Elaine Benes in all her pant-suited wonder were plastered on every TV and magazine page sporting the brown lip. As the ‘90s rolled into grunge territory, badasses like Drew Barrymore and Winona Ryder opted for more of a punky brick-brown hue both on and off the red carpet. This striking color was the ultimate middle finger to the soft pinks and peachy hues dominating pop culture at the time. Images via Makeup by Alinna, Fashion Fade and Brit+Co. Now: Today the ’90s are back in a big way – take a look at slip dresses, crop tops, chokers and middle parts that are in vogue once again. (We love it!) To take your brown lip from throwback to modern intrigue, make sure it’s matte, matte, matte. Find a chocolatey hue that brings warmth to your complexion – it’s easy to get washed out by the wrong brown. Try dabbing in a little red to the center of your lips for an ombre take on the grungy brick brown (and check out our tutorial here). Most of all, rock it out with glowing skin, big brows, and immense satisfaction that you know the trend’s real origins. Psst: If you’re part of the contouring clan, check out this awesome brown lip hack from Joan Smalls’ makeup artist.